The increasing spread and popularity of organic farming across the region, along with the need for better yield and emphasis on sustainable farm practices place the use of Bio-stimulants in the spotlight. 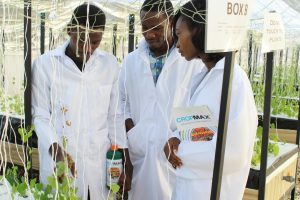 In the African Continent, the use of CROPMAX presents small-scale farmers and large growers with endless possibilities. Farmers who face challenges relating to drought and harsh weather conditions testify to the outstanding results that are noticed when they use CROPMAX.